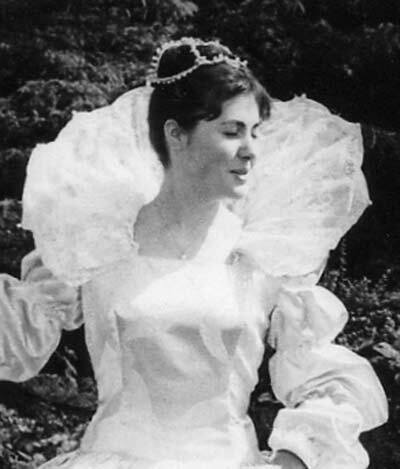 The most famous former Hillbark Player was Elisabeth Sladen, who appeared as Hero in our very first production" Much Ado about Nothing" in 1964. She went on to become Sarah Jane Smith, one of Dr Who's most famous assistants. She appeared in many subsequent television series and reappeared in 2007 in her own series of Sarah Jane adventures. 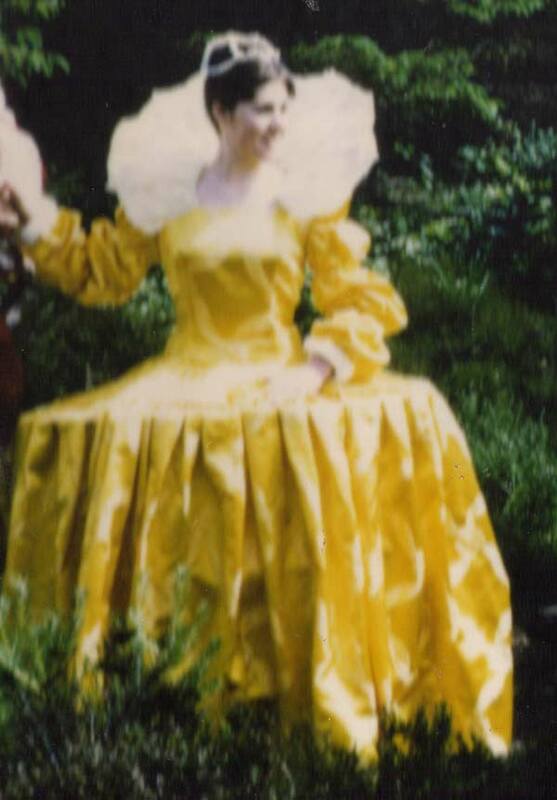 Here is Lis, as Hero in 'Much Ado about Nothing', in 1964, wearing the yellow dress she refers to in her autobiography. 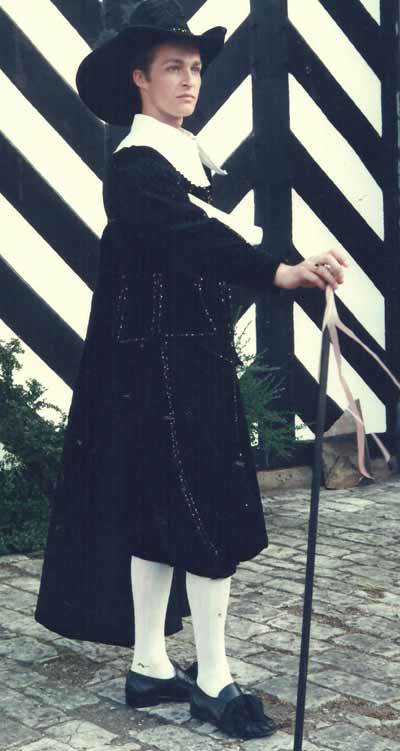 Lis recalled her time with Hillbark Players in 'Elisabeth Sladen - the Autobiography'. Lis sadly died on 20th April 2011. 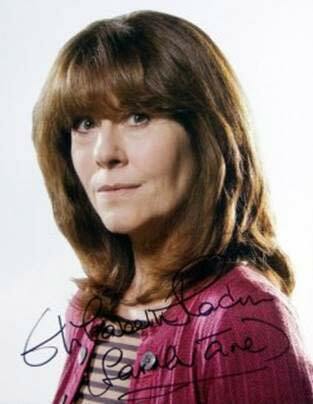 I met Elisabeth Sladen at Milton Keynes in October 2007, when she was a guest at Collectormania. The first series of The Sarah Jane Adventures had just begun to be screened at that time, and a lot more episodes have been made since. Lis was very friendly and easy to talk to. She signed a photograph for me before I had this super photo taken with her. 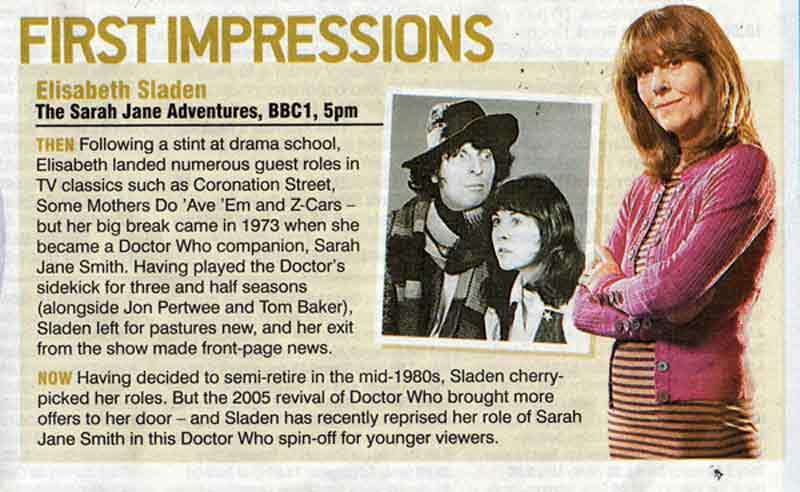 Elisabeth Sladen was born in Liverpool in 1948. She had dance lessons at the age of five, becoming so good that she danced in one production with the Royal Ballet. In 1963, aged fifteen, she acted in a National Youth Theatre production of Hamlet at London's Scala Theatre, with Simon Ward, Helen Mirren & Bill Kenwright also in the cast! 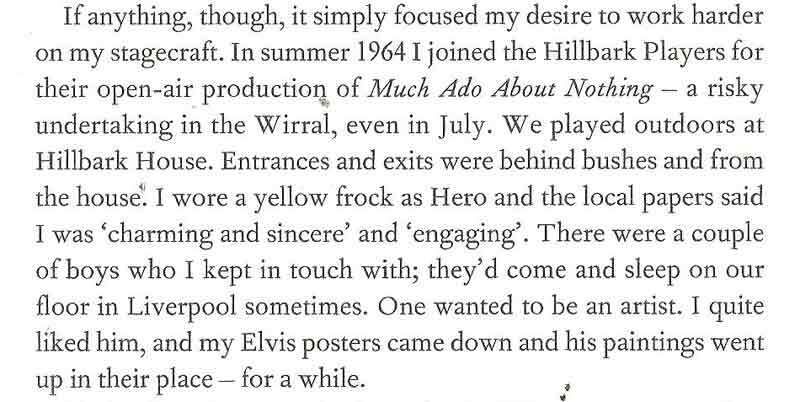 In 1964 Elisabeth played 'Hero' with the Hillbark Players in their production of Much Ado About Nothing. After Elisabeth left grammar school, she went to drama school for two years, before starting as an assistant stage manager at the Liverpool Playhouse, Britain's oldest repertory company. It was here that she met a young actor Brian Miller to whom she has been married for more than 40 years. They have a daughter, Sadie Miller. Elisabeth moved to Manchester, performing in a number of stage plays, including the leading role of Desdemona in Shakespeare's Othello. She also appeared as Anita Reynolds, barmaid of the 'Flying Horse', in six episodes of Coronation Street in 1970.
where he played Marcade, followed by his role of Lorenzo in 'The Merchant of Venice' in 1986. 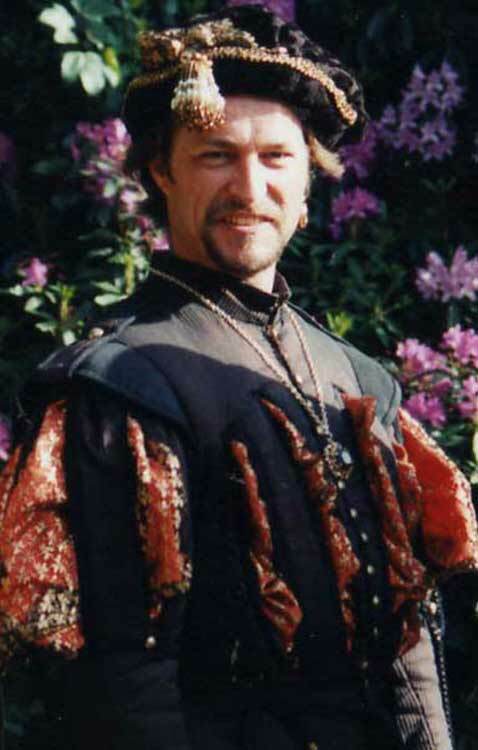 He played Paris in 'Romeo and Juliet' in 1994. 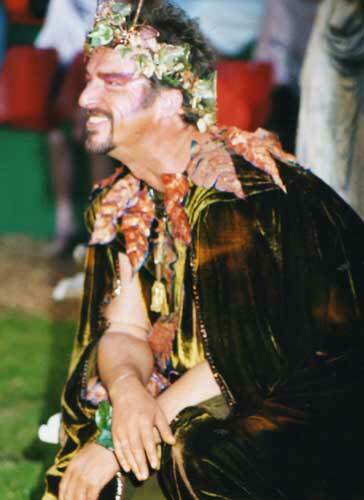 Then Antipholus of Syracuse in 'A Comedy of Errors' in 2003. 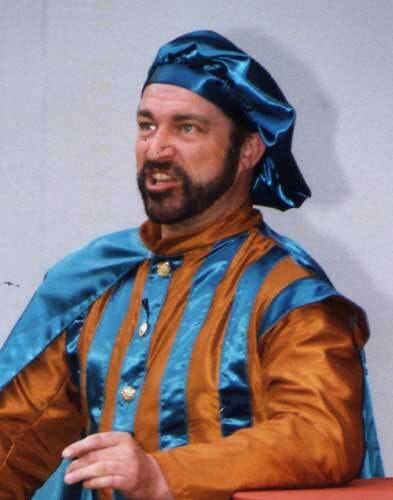 His final association with Hillbark Players was as Director of the 2007 version of 'As You Like It'. He also took over the part of Oliver de Boys for the last 2 performances. 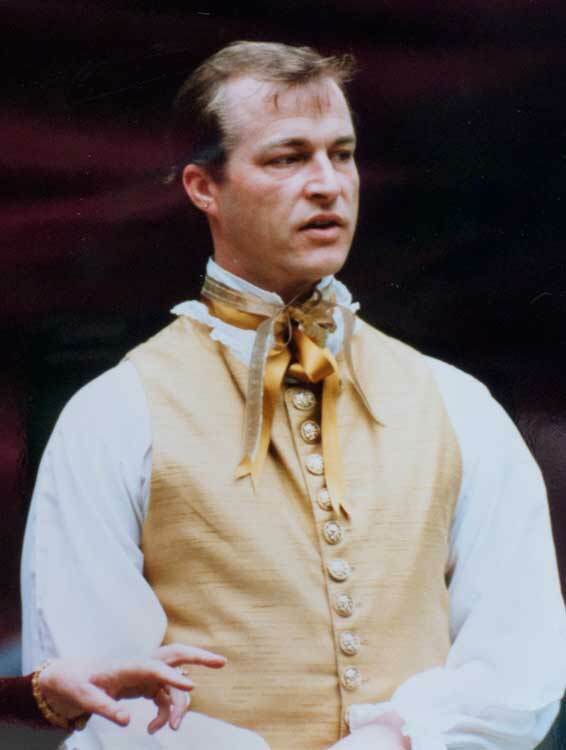 This was his final performance as an amateur, for he went to East 15 Drama school to do his MA, from where he became a professional actor. 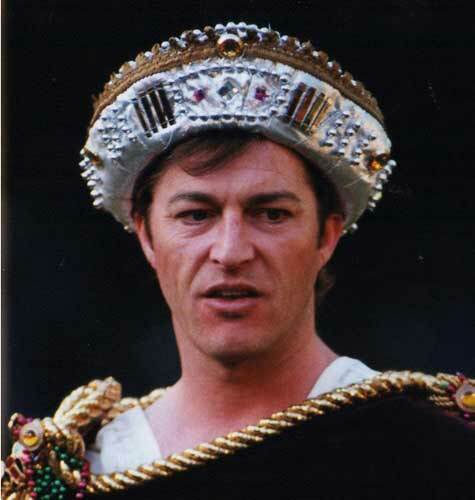 Sadly he died suddenly on the week of his West End debut in the stage play of 'The King's Speech'. 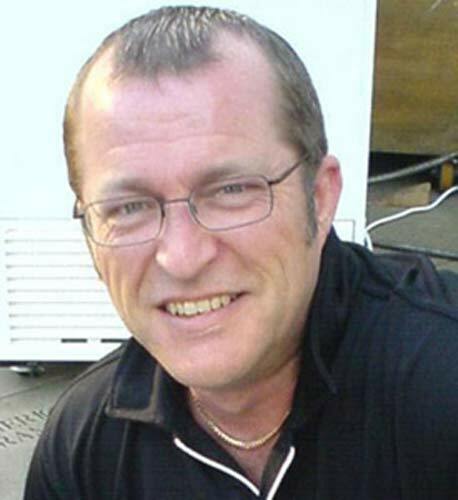 He will be fondly remembered for his long association with Hillbark Players.